As wedding planners we get very excited when we can share a wedding with you that we’ve worked on and today’s wedding is a real treat. Our couple Vijay and Leanne had a fantastic theme for their wedding back in June, this year, and were so full of creative ideas we knew that it was going to be such fun helping them with their big day. Leanne tells us how they started with their planning journey. “As a mixed race couple we wanted a day that reflected both our cultures. We had the structure and the ‘nice’ formalities of an English wedding with the food and party of an Indian Wedding, so you could say we picked the best of both and fused them together. “We run our own Graphic Design business so we designed our own wedding theme and then used this theme to create our stationery including invites, place names and table plan. We named our tables after artists as we met at art college. We’ve designed lots of wedding stationery for our clients, but creating our own took us quite a while – we became super critical and wanted to reflect both our cultures. In the end we used Edwardian British Raj colours including Ivory, Sage Green and Brown with hints of gold. “My dress was from Isabella Grace in Tunbridge Wells. 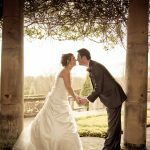 I would highly recommend them as the service was outstanding and you’re made to feel very special – the whole experience of choosing my dress was really memorable. 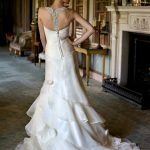 I found the perfect dress by Sophia Tolli that had a touch of ‘bling’ but was still me. The dress was stunning and I haven’t seen another like it – I’m now a big fan of her dresses – she’s a very clever designer. My veil was also from Isabella Grace, it was a chapel length veil which had two tiers to it. The veil had seed beads and pearls along the scalloped edge, I felt it had a little Indian look to it, like a chunni, especially when it was draped over my shoulders. I asked at Isabella Grace if they could remove the top tier, which they very cleverly did for me, making it a less formal and more like a chunni. During the day I wore my Nan’s pearl necklace and engagement ring but changed them in the evening to create an anglo-indian look. Typically Indian Brides wear Chura for their wedding, so I created my own version of this with Ivory and Silver sets of bangles for each arm and my mum’s crystal drop necklace and topped it off with a bindi. We also gave out bindis to our guests to wear which they loved. “For our reception we had canapes and then our menu included Dhal Tarka, Butter Chicken, Lamb Curry, Saag Paneer, Jeera Rice and Naans. For dessert we had an ice cream cart by Little Gems, with gorgeous handmade ice cream in lovely flavours – she also made our beautiful wedding cake. 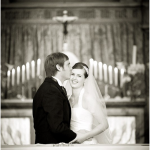 Finally we asked Leanne what advice she would you give to other couples about planning their wedding day? “Be realistic! As much as you may want it all, the day is shorter than you think. Ask for help from family and friends and don’t be afraid to ask wedding professionals. We feel we couldn’t have made the day as perfect as it was without the help and advice of The Wedding Dolls, who were brilliant and definitely saved us money and lot’s of stress in the last few weeks. At the weekend we had the pleasure of working with the Dream Days for You team headed up by Darminder Cheema. Dream Days specialise in Indian, Gujarati and Halal menus but do offer traditional English catering as well. 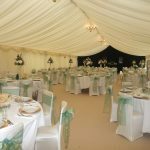 Their portable catering service is great if you have a unique venue in mind as services can include catering staff, cutlery, crockery, linen and waiting staff. We were able to sample some of the menu and it was absolutely gorgeous. So whether you are having a traditional Indian wedding or looking to go fusion with your menu then Dream Days for You is a great place to go for a curry! Take a look at their website for full menus and details of the services they can provide. Image Credit: The Wedding Dolls with chair coverings and flowers by Chic Weddings. Today we’re attempting to keep our feet up after being on them for pretty much most of the week. The only thing we might manage is to watch the footie a bit later with a few Sunday glasses of vino (if we’re still awake by then!). We start the post with a big congratulations to Vijay and Leanne who we worked with yesterday at their Asian Fusion wedding. It was simply stunning. 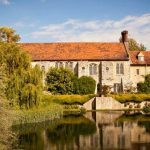 The very lovely bride and groom looked gorgeous, the indian food was superb and the views from Nettlestead Place over the Kent countryside were made all the better by some summer sunshine and very happy guests. The pics here are just a little glimpse into the day which we’ll be sharing in much more detail over the coming weeks. We were lucky enough to work with some great suppliers on the day including Chic Weddings, N Photography and Dream Days for You (we have a Fantastic Find feature on them later this week). 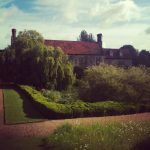 So just before we look forward to another week in wedding world here’s our summary of blog posts from the past 7 days. We kicked off with designer Stephanie Allin’s beautiful range of wedding dresses and her new collection which will be in store around September. 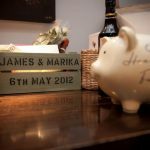 Next we gave you some advice about how to set your wedding budget in our post Counting the Cost. If you have any good budgeting tips then we’d love to share them. Then the Flower Preservation House showed us how you can preserve your wedding flowers into beautiful keepsakes of your day. Next we were really pleased to share the real Kent wedding of Keeley and Mike at Cooling Castle Barn with photography by Fleur Challis. The vibrant colour scheme and stunning backdrop make this a wedding worth taking inspiration from.We rounded the week of with news of a discount at Myla with up to 50% off some of their bridal lingerie range. See you next week for more real wedding inspiration, a gorgeous vintage photoshoot and our weekly Fantastic Find.